Industry 4.0: Is this a trend of actually the 4th industrial revolution? As with the previous Industrial Revolutions before, Industry 4.0 is about automating tasks in order to streamline the manufacturing process further. In short this means combining computing power and emerging technologies in a factory or industrial process. This is a non-exhaustive list that gives a small overview of what is making Industry 4.0 a real revolution. Big Data: Data gathered from the entire manufacturing process including purchase orders from end customers. Only now is it possible to collect due to data storage costs and processing speeds. The effort lies in filtering the noise from the useful information and joining all the data together for a full overview. Think Supply Chain data, customer purchase data, raw material costs etc. Yes, these all sound like buzzwords but they are major components in what is being referred to as Industry 4.0 and these combined with many other factors are changing the face of how factories are being run. 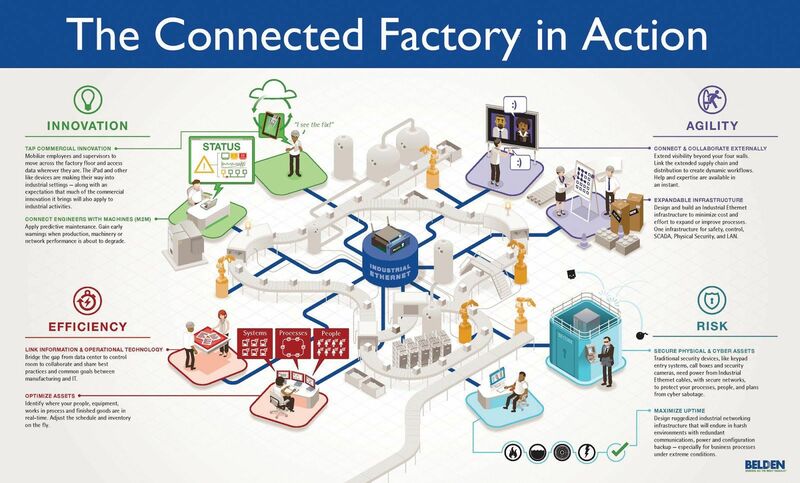 At first the connection might appear spurious, yet it is not a big leap to see that we are right in the middle of Industry 4.0 as we have a number of the necessary components that make our solutions a big part of this revolution. Through indoo.rs technology for Navigation, Asset Tracking, and Proximity we are able to track assets and in specific use cases do worker tracking to both increase business efficiency and also improve health & safety. We can track assets in a warehouse, equipment on a factory floor, see how long a worker has worked in a hazardous environment, assist evacuations, keep track of safety checks as well many other use cases. Short answer no, but there is a lot of room for growth here and a lot of pieces of the puzzle to fit together for the entire industry. Some of the technologies are not ready for application of scale, but they will catch up and the hardware costs will go down, as is always the case. Where we see our advantage is that all of our key components are already tried and tested in real world environments and we are able to scale worldwide very quickly due to indoo.rs SLAM. This has been on the horizon for a long time but with the technological constellation now right, this is the time to get a step ahead of your competitors. One of our most common use cases is Wheelchair tracking for hospitals and airports. For more industrial use cases and installations, we will be updating you with more information in the coming weeks and months. To find out more about what we are able to do, visit our Asset Tracking page.